If you have lost a number of teeth and have broken, chipped or worn teeth, a full mouth reconstruction may be recommended to restore complete function to your mouth and improve smile aesthetics. The aim of a full mouth reconstruction is to restore function to your mouth so that you can eat and speak confidently and also improve aesthetics. At dhealth we use a thorough planning process to ensure the best possible results and invite you to get involved in the rehabilitation process. This is important to make sure that you are aware of exactly what is going on, how long treatment will take, what the treatment process involves and the kind of results you can expect. 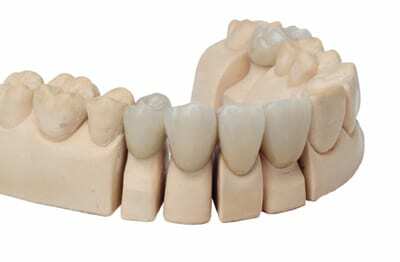 We will initially examine your mouth and use sophisticated computer software to create 3D images of your mouth and design your new smile. The treatment process can then begin and we will involve you in each and every stage. We are always on hand to answer your questions and if you are feeling anxious or nervous, we can help you to unwind, relax and feel secure. We want you to feel confident and happy when you smile and aim to give you a beautiful, natural smile. Contact our dental team today in Melbourne to learn more about how a full mouth reconstruction can restore your smile.